October 26, 2016 - Like us now! 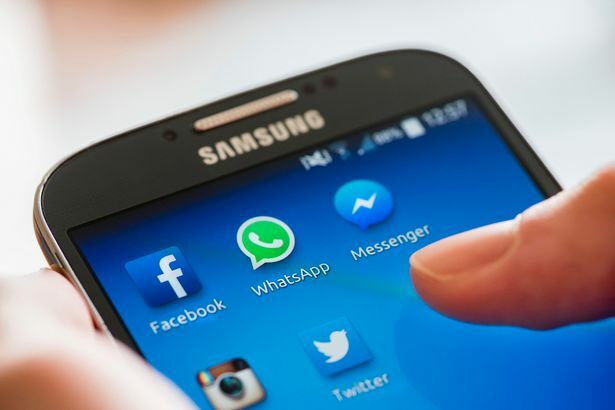 Some Android and Windows Phone users are reporting the availability of video calling feature in the latest beta version of the popular messaging application WhatsApp. 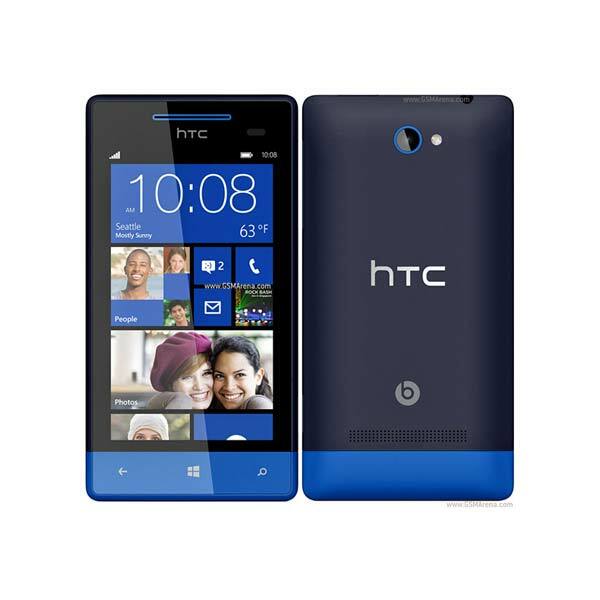 The ability to place video calls was first noticed by users of Windows Phone beta version and later Android Police also found the option available on the latest beta version for Android. 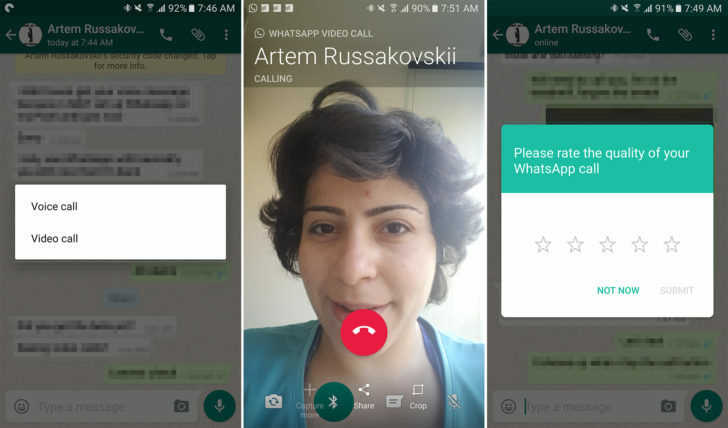 WhatsApp users have been long clamoring for the option to place video calls. It seemed only a matter of time before this option was available on the most popular messaging platform after it introduced voice calling in April last year. It appears that WhatsApp is now finally ready to start testing this feature. Over the past few days, multiple users on Windows Phone and Android have reported seeing video calling option in the latest beta versions of the applications. Interestingly, no mention of this feature has yet come out of the iOS camp, which is usually the first one to get features of this sort from companies like WhatsApp. The feature works just as expected — users can simply choose voice or video while placing a call on the application. To place a video call, both the caller and recipient need to have video calling enabled versions of the app installed. If one of them doesn’t have this functionality, the video call is automatically converted into a voice call. 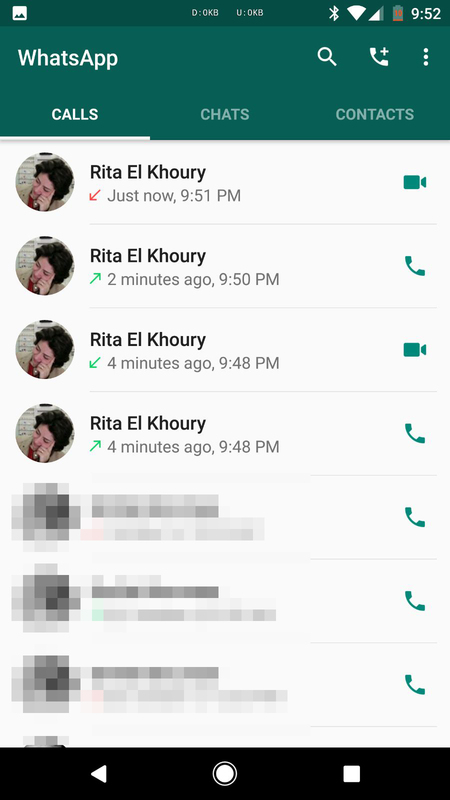 The call log also shows which calls were made using the video calling interface by annotating the call with a camcorder icon. 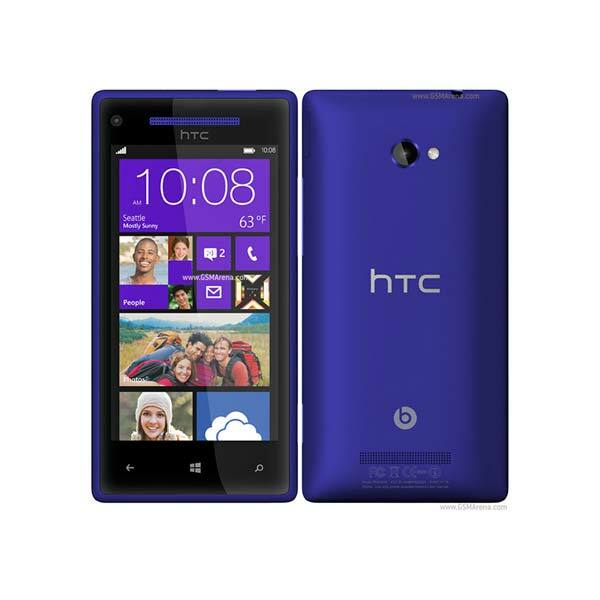 This feature was also recently seen on the latest beta version for Windows Phone. As is the case with Android version, the feature is not yet available to all users but can be force-enabled by clearing the application data and reinstalling the beta application. WhatsApp has previously used techniques of this sort to test new features in the wild. Same test runs were seen when WhatsApp included voice call support last year. We will update you when further information and release date of this feature is released by WhatsApp.